20.07.2018What are regulators doing about Australia's credit card crisis? The Australian Securities and Investments Commission (ASIC) found earlier this month that over half a million Australians are in credit card arrears. Credit cards can be a blessing and curse. While they provide some leeway for those who can’t manage to make essential purchases in a given month and need something to tide them over until payday, credit card debt can easily spiral out of control. As a result of the latter phenomenon occurring across Australia, it’s clear that a credit card debt crisis is currently gripping the nation. The Australian Securities and Investments Commission (ASIC), for example, found earlier this month that over half a million Australians are in credit card arrears. So while regulators have noted a tremendous rise in the way this type of consumer debt has affected Australians and taken some early steps to address the issue, they’re now looking to take more concrete action. From calling for raised credit card repayment periods to tackling credit limit raise offers, there’s a lot they can do to ensure lenders aren’t taking advantage of the financially vulnerable. The scale of Australian credit card debt is enormous. There’s no denying that this is a real problem that needs to be addressed. High interest rates abound across the board. ASIC recently found that $621m in interest payments over the 2016-17 financial year could have been avoided if consumers on high interest credit cards had used a card with a lower rate. And in addition to the 500,000+ people in arrears, there’s also almost a million more consumers who are described as being in “persistent debt” in relation to credit cards. With credit cards representing big business for major lenders, it’s looking increasingly unlikely that any of them will take action of their own accord. And with the government perhaps unwilling to directly legislate against the banks and lenders, a third party may need to step in and address the problem. As a regulator, that third party is ASIC itself. In fact, the regulator’s work has already begun to have an effect on decision-makers. Earlier this year, the Australian government began to put in place a number of changes to the way the country’s credit card industry was regulated. It is now illegal in Australia, for example, for a lender to send out offers relating to credit limit increases unless requested. 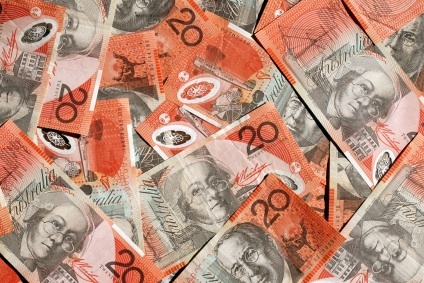 But ASIC now wants to go further – it is looking to impose a repayment timeframe of three years. This means consumers would have longer to pay off their debts. It could also help avoid a scenario in which credit card lenders either found it unprofitable to be in business or felt compelled to levy extra charges on borrowers in other ways. According to ASIC’s Deputy Chair Peter Kell, only a few Australian lenders actually take any steps to assist their customers if they fall into debt. “Our findings confirm the risk that credit cards can cause financial difficulty for many Australian consumers,” he said. “Only a handful of credit providers take proactive steps to address persistent debt, low repayments or ill-suited products. “There are a number of failures by lenders to act in the interests of consumers and we expect them to respond swiftly to our findings. We will be following up to ensure the problems we have identified are addressed, including public updates later this year,” he added. Whether or not increased regulation would deliver the sort of results that ASIC is hoping for remains to be seen. Australia is in the midst of a national credit card debt problem, and it doesn’t appear to be going away any time soon. But while ASIC and other interested parties are wise to the problem, more action needs to be taken. By tackling the repayment period problem, a significant step towards helping Australian consumers get out of debt can be made.